is pleased to welcome your new baby! 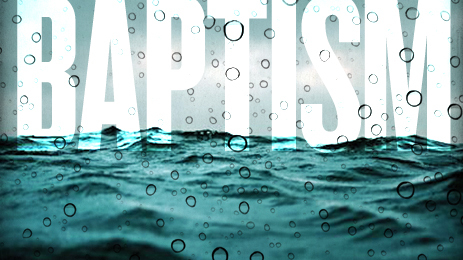 Baptisms are held on the 1st and 3rd Sundays of the month (excluding the Season of Lent) at 12:30 PM. Please contact the Parish Office 732-792-2270 as soon as possible to schedule the Baptism. If you choose godparents who do not belong to St. Jjoseph Church, they must obtain a certificate of eligibility from their church. This certificate must be sent to us at least 2 weeks prior to the Baptism. It is required that the parents attend a Baptism Preparation Session prior to the Baptism. We urge the godparents to attend also. As you prepare for your child’s baptism you are probably thinking quite a bit about who to ask to serve as the Godparents. Choosing godparents for your child can be a difficult decision. There are a number of questions which are likely on your mind. Who is eligible? What are the requirements? And even more basically: What is a Godparent supposed to do? Often we hear it said that Godparents are supposed to care for a child if anything happens to the parents - but this is not the case. In reality, the role of the Godparent is different and, quite frankly, more active and influential. The day of your child’s baptism is a major occasion. Choosing Godparents is not a decision that should be made lightly. You may want to choose someone to honor them or to thank them for being by your side. Perhaps someone was particularly helpful to you during your pregnancy and you want to give them some significant ceremonial role at the baptism. Perhaps you want to honor your sibling or long-time friend. Perhaps a friend was upset that they were not ‘picked’ to be first child’s godparent and you just want to make them happy this time around. While all of these motives are clearly well-intentioned and genuinely honorable, your choice of godparents must be motivated by something deeper. Godparents serve a special role in the baptism of a child, but also in the life of that child going forward. Godparents are the representatives of the Catholic Christian community, the Church. Godparents are responsible for assisting you, parents, in raising your child in the faith. Godparents must exhibit in their lives a dedication to Jesus Christ, to the Church, and to the faith. They are to assist you in raising your child in the faith so that your child may profess that same faith as an adult. Understanding what Baptism is and does helps us to understand the role of Godparents. Baptism gives your child a name and a new status and place in the life of Christ. Baptism opens the doors to eternal life and the promises of our Lord, Jesus Christ. Once we consider the awesome nature of what happens in Baptism we can see why the Catechism of the Catholic Church states: “For the grace of Baptism to unfold, the parents’ help is important. So too is the role of the G odfather and G odmother, who must be firm believers, able and ready to help the newly baptized – child or adult – on the road of Christian life.” (CCC 1255) The work of a Godparent is real work and not simply an honor. Rather than choosing someone as a Godparent to give them honor or to thank them for some service or gift, you should look for those in your life to truly live the faith. Those who do not live the faith can hardly assist you in passing faith and belief on to your child. Those who do not exhibit a dedication to the Church and to Christ in their lives really cannot be examples to your child of what it means to be a disciple of the Lord. There are, doubtless, many good people in your life who you may wish to honor or thank, but the role of Godparent is a serious one which can only be filled by women and men of faith who are dedicated to walking with you and your child for years to come. When your child needs a doctor, you would not want to use a Doctor who has not practiced medicine in twenty years. In our world it is not uncommon for young couples to not know many people who truly live their faith. If this is a problem you face, do not stress! The Church knows that this is a common problem and wishes to assist you in celebrating your child’s baptism without stress or worry. The Church only requires one Godparent. If you know a good couple, but only one is a faithful Catholic (say, for example, the husband is a Methodist), you could ask the Catholic to be a Godparent and the other spouse to serve as a witness to the baptism. The non-Catholic can, of course, be an excellent example for your child, but only a practicing Catholic can give witness to the specific beliefs and ideals held out by the Church. If, after long thought, you cannot come up with anyone who would be a suitable Godparent for your child, feel free to contact the parish office. We can perhaps introduce you tto individuals in the Parish who would very willing to serve in this role. To summarize, here are the basic guidelines to selecting godparents for your child. Be someone other than the parents or legal guardians of the child to be baptized. If you choose two Godparents, one must be a man, the other a woman. You may have a non-Catholic assist at the Baptism as a witness, but they do not serve as a Godparent in the way that a Catholic does. All of this may seem like a great deal of fuss, but when we look at what Baptism is and what it does, we begin to appreciate why the Church has these requirements. Your child is about to experience what is perhaps the most important moment in his/her life, baptism into the life of Christ and entrance into the family of the Church. The Church wishes to equip you and your child as best as possible. Faith-filled Godparents are a safeguard which will assist your child in learning the faith, living the faith, and opening their hearts to the love and mercy of God. May you choose Godparents with attention, prayer, and concern for the precious spiritual life of your child.